Chen L. Abdominal ultrasound imaging. In: Sahani DV, Samir AE, eds. 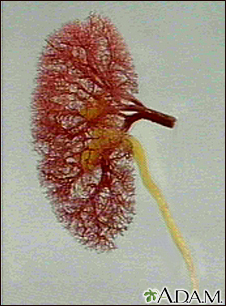 Abdominal Imaging. 2nd ed. Philadelphia, PA: Elsevier; 2017:chap 3. Cosgrove DO, Eckersley RJ, Harvey CJ, Lim A. Ultrasound. In: Adam A, Dixon AK, Gillard JH, Schaefer-Prokop CM, eds. Grainger & Allison's Diagnostic Radiology. 6th ed. New York, NY: Elsevier Churchill Livingstone; 2015:chap 3. Kimberly HH, Stone MB. Emergency ultrasound. In: Walls RM, Hockberger RS, Gausche-Hill M, eds. Rosen's Emergency Medicine: Concepts and Clinical Practice. 9th ed. Philadelphia, PA: Elsevier; 2018:chap e5. Wilson SR. 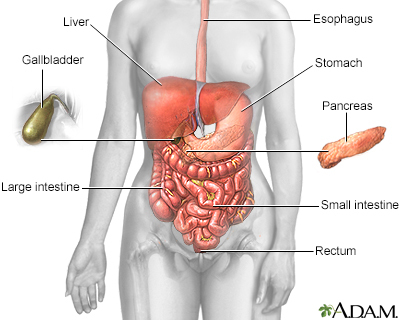 The gastrointestinal tract. In: Rumack CM, Levine D, eds. Diagnostic Ultrasound. 5th ed. Philadelphia, PA: Elsevier; 2018:chap 8. 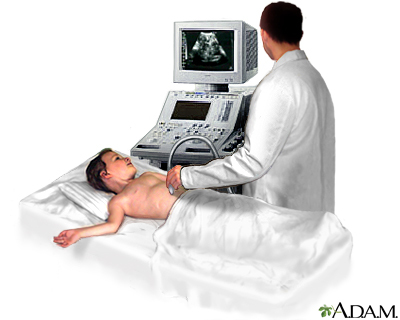 Abdominal ultrasound is a scanning technique used to image the interior of the abdomen. Like the X-ray, MRI, and CT scan, it has its place as a diagnostic tool. 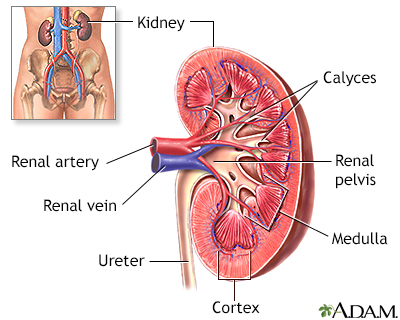 Ultrasound scans use high frequency sound waves to produce an image and do not expose the individual to radiation. The procedure is painless and safe. The test is done in the ultrasound or radiology department. A conducting paste is applied to your abdomen while you are lying down. 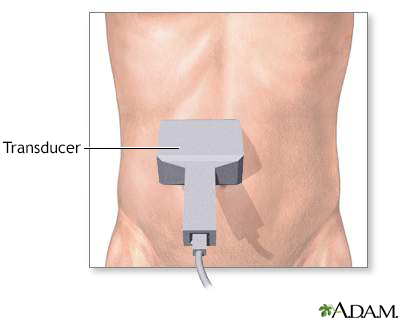 The transducer (a hand-held instrument) is then moved over your abdomen.